I just got back from Ovo and it was *amazing* Seeing Cirque perform under their own tent makes you never want to see them play in a rented venue again. They had the high flying, toss a man through the air and catch him on your forearms bit. They had the holes under the stage, characters disappear and reappear at whim. They had the bouncing floor. They had a rock wall. 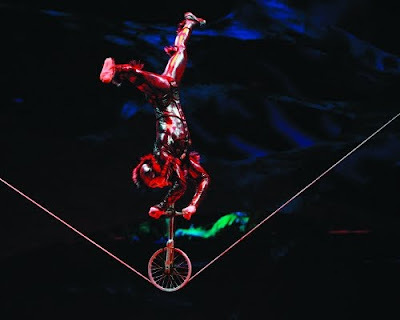 Then there the "usual" feats of strength and balance that make any Cirque fan gasp. 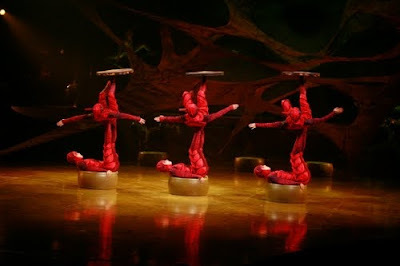 See those six asian women balanced on top of each other spinning plates on their feet? At points in their act they would push their legs and THROW the women back and forth!!! WOMEN THROWING EACH OTHER WITH THEIR FEET AND BEING CAUGHT BY ANOTHER WOMAN'S FEET!!! WHILE JUGGLING!!! There aren't enough caps locks in the world. 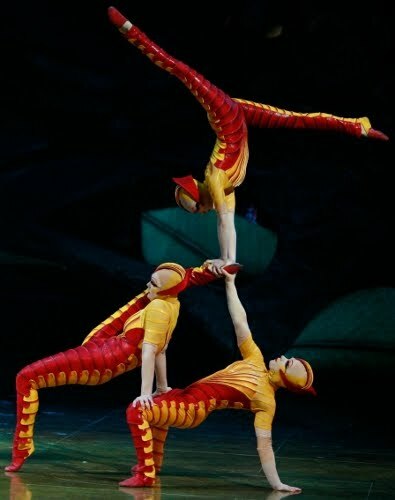 And these guys...do you see how precariously balanced everyone is? I can't even get through half of the poses in bikram! This was the grand finale. 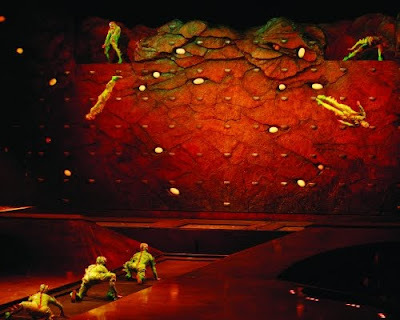 These men jumped off the ground and unto the rock wall, holding on for less than a second in perfect sync. Then when my mouth had dried out from hanging open so long a woman came out and was tossed from person to person WHO WAS ON THE ROCK WALL! If I were standing on a curb and someone passed me an adult woman I'd drop her right in the gutter. These guys held on to the rock wall with one hand and swung her back and forth with the other!!! The stage, the music, the props! Even the cheesy side-story they use to fill in space while the performers change and catch their breath wasn't intolerable. 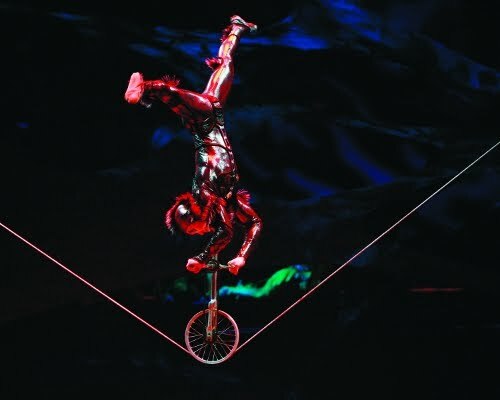 Everything was paced so well and I even saw the requisite man upside down on unicycle on tight rope. Ovo is at Randall's Island for another month or two but they are touring the US. 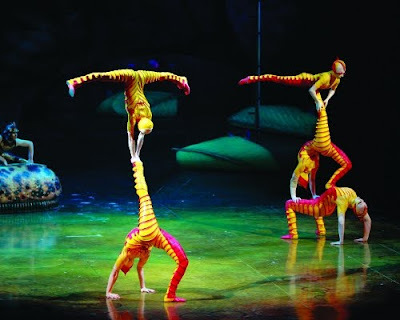 Make sure to go when they visit your area, its one of the top Cirque shows I've seen!